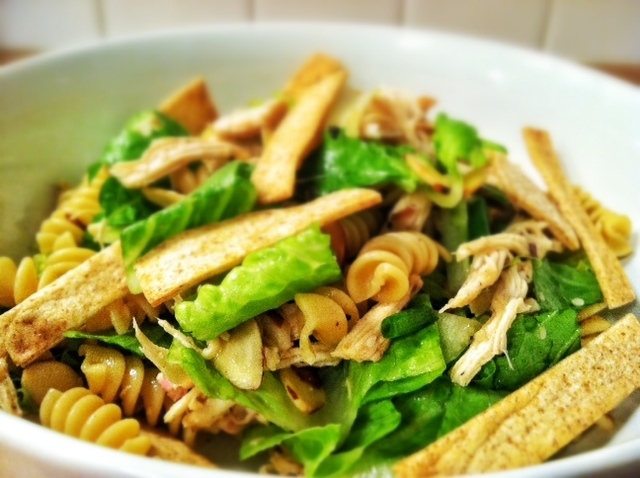 I found this really light salad recently and decided to lighten it up even more. 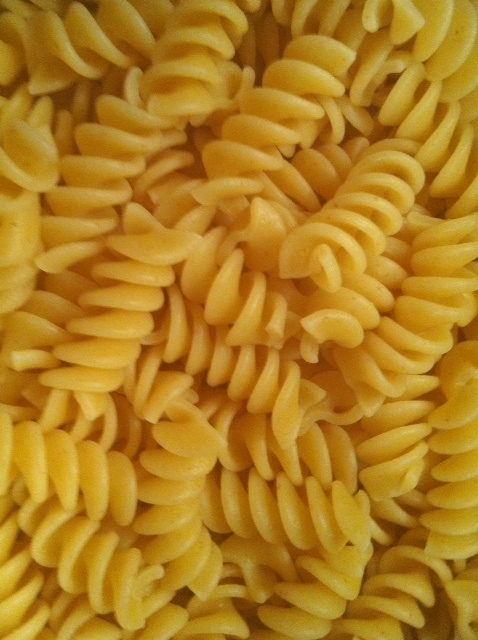 It is so light that you might like it for dinner when you have already had a heavy lunch. Or, when it is hot outside and you don’t feel like eating much. Or for lunch? Hmmmmm, I’m not selling this salad am I? IT’S SO REFRESHING TOO! Makes you feel full, but not weighed down. I’m not a very good sales person but don’t take it out on the salad. It is a must try. The original recipe I found called for frying won ton strips. Which I am sure would be insanely delicious but I try not to fry. I would rather waste excessive calories on things like cheese or beer. But if frying is your thing then go right ahead! 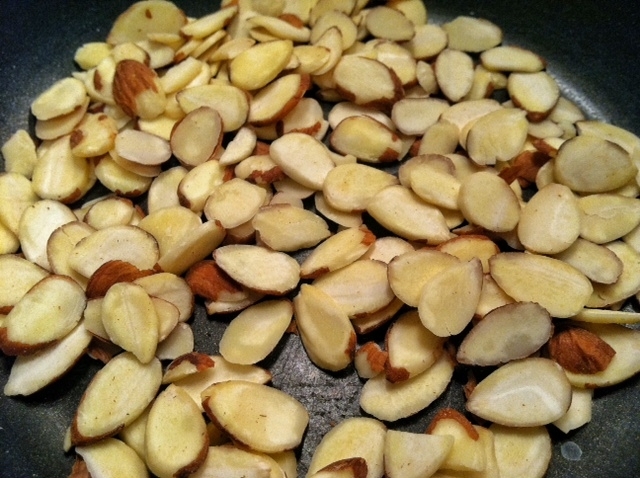 Here are the almonds, getting all toasty. 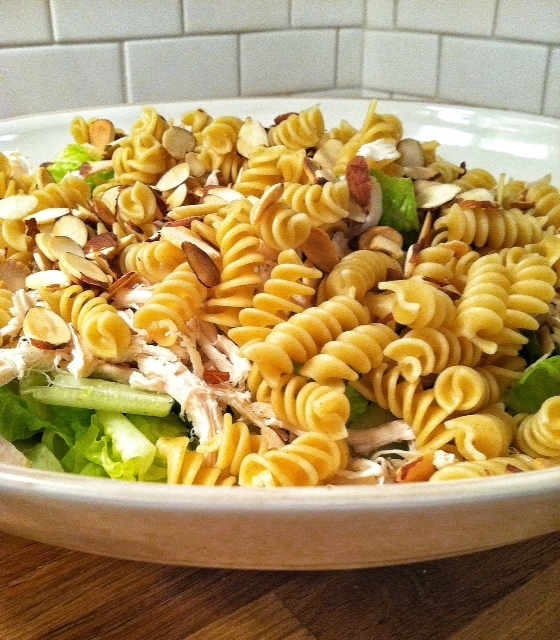 Layer it all in a big bowl! 1. Heat oven to 350. 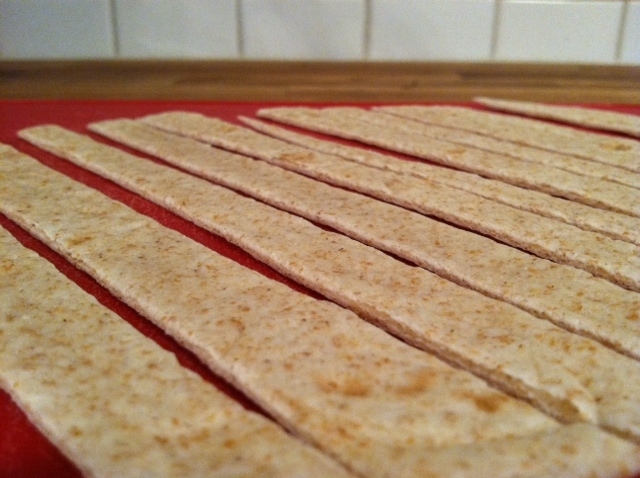 Spray strips of tortilla and scatter about on a parchment lined baking sheet. 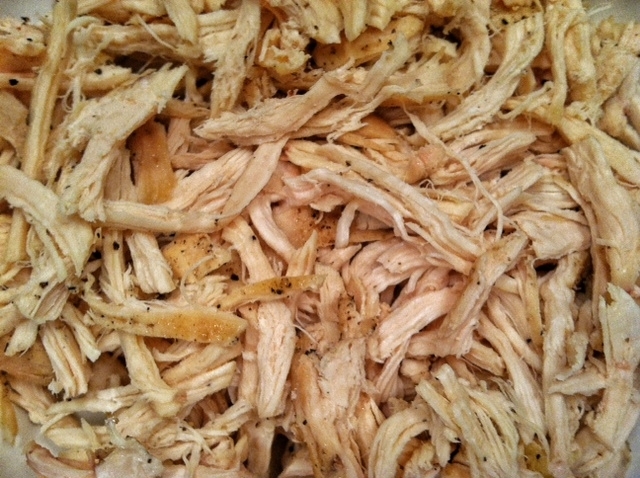 Bake 3-4 minutes each side or until golden. 3. 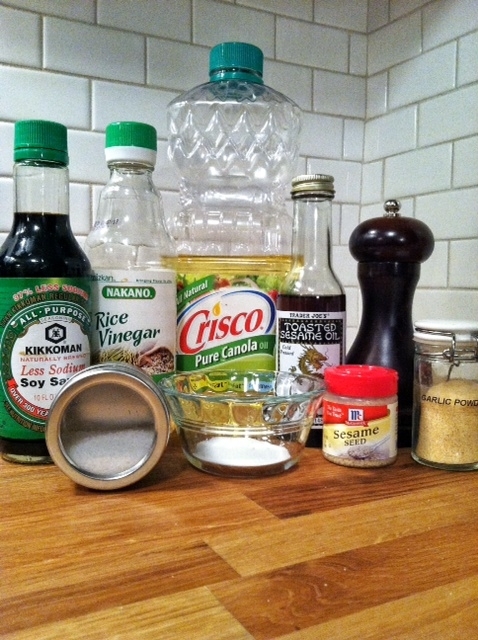 Combine dressing ingredients in a small bowl. 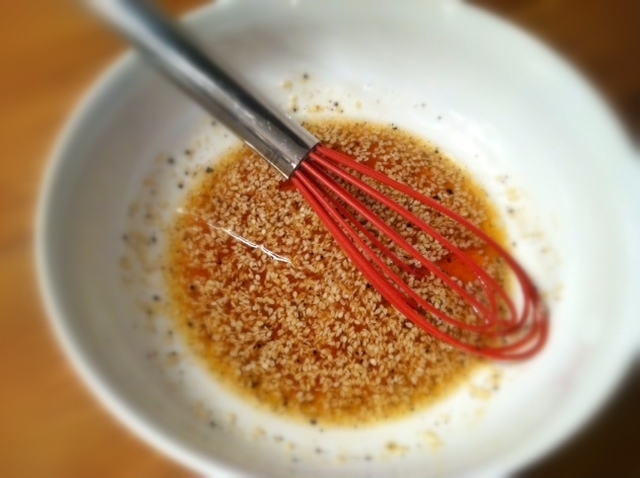 Whisk well until sugar dissolves. 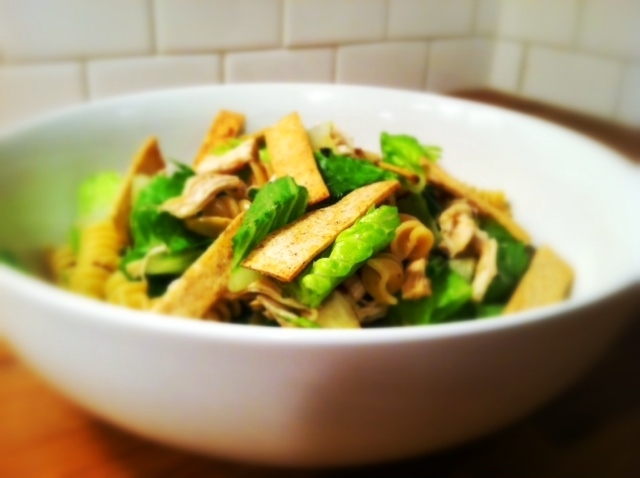 Toss lettuce mixture with 1/2 of the sesame dressing and top with sesame seeds and wonton strips and serve. Add more dressing if desired. DO YOU LIKE A LIGHT DINNER OR A BIG DINNER?